BOGGS & PARTNERS ARCHITECTS - brings the experience of partners in design, management and execution of a wide range of projects. The firm’s portfolio illustrates a developed skill at expressive design within a range of contextual environments, which is both inventive and sophisticated in the use of architectural forms. The over 60 completed projects, reviewed in international journals, demonstrate a consistency of quality and purpose at a variety of scales. The working of materials and careful execution of details, the formal relationship of parts and the final understanding of form in response to setting characterize the work. The firm is a leader in innovative sustainable and ‘green’ building practices with the LEED certified staff. 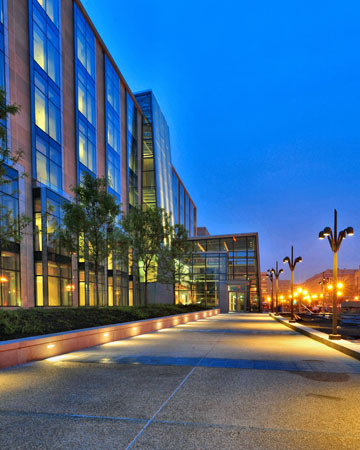 Boggs & Partners Architects designed the first LEED accredited building in Washington, DC and continues their commitment to do sustainable designs here and abroad. Boggs & Partners Architects have been responsible for the design of commercial, corporate, healthcare, retail, residential and government facilities. The firm has received international acclaim for its innovative design and planning solutions. Joseph A. Boggs FAIA, working with the partners and the staff, demonstrates an extraordinary ability to translate strong conceptual approaches into equally compelling architectural forms. The award winning World Headquarters for the Machinists and Aerospace Workers and the Levy Center at the United States Naval Academy epitomize the continual efforts to explore the issues of transforming theoretical aspirations into the realities of built form. 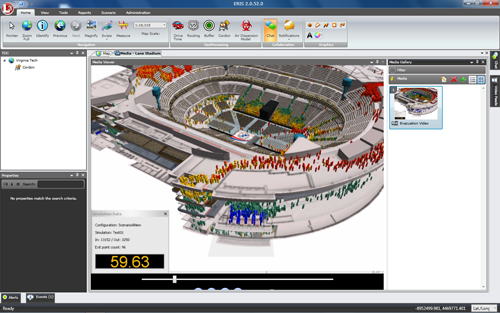 Regal Decision Systems, Inc. - is a Maryland software services and technology firm specializing in operations research, simulation software and process flow management. Our expertise in developing forecasting and analytical tools enables clients in government and industry to assess the impact of planned changes or unplanned events on processes ranging from the staffing of baggage screening to the inspection of international commercial traffic, from the capacity of sea ports to handle trade fluctuations to the evacuation of personnel during emergency exercises. For more information, please visit Regal Decision Systems, Inc.
Navitus - Headquartered in The State of Kuwait, NAVITUS is a dominant member of one of Kuwait’s elite groups of companies. NAVITUS possess a broad experience within all sectors of Kuwait’s government contracting; including capture management, bidding strategies, negotiation and contract execution. We also acquire an expert awareness in legal and compliance requirements for conducting business efficiently and effectively. In addition, a knowledge regarding in-depth and intimate analysis of the Kuwaiti markets including market intelligence and penetration strategies. The NAVITUS team consists of multi-lingual and multi-cultured backgrounds, which has created a powerful and prestigious reputation in the region. Furthermore, we hold corporate experience across government and commercial clients both local and international business expertise. Likewise a strong corporate authority with defined ethical business practices and procedures. NAVITUS has proven performance in supply-chain management, logistics and turnkey project solutions.